We have uniquely positioned ourselves as the prominent air conditioning enterprise in Melbourne. 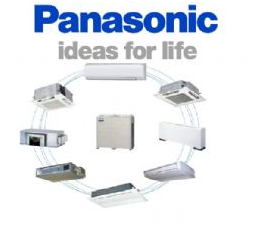 We are extremely efficient in developing and supplying a distinctive range of Air Conditioning systems. They are intricately manufactured by using high quality components and progressive technology, in complete compliance with the set international quality standards and norms so they ensure excellent functioning for improved results. VRF remains for Variable Refrigerant Flow. The VRF Air System comprises of different quantities of air handling units, which are connected to an external gathering unit. As the result of this, the refrigerant flow can be varied either by using an inverter controlled variable rate compressor or using more than one compressor. By varying the volume of refrigerant within the system to match the building’s requirements, conditions within each building can be controlled independently. The cooling capacity is very high and the overall consumption of power is not very high. It provides greater flexibility throughout the building and also saves energy, installation space as well as maintenance cost. Applications of this VRF Air Conditioning Systems vary from offices, multiple rooms, retail, hotels, luxury apartments, industrial apartments, hospitals and conference centers. We cover all types of Commercial Air Conditioning throughout Melbourne ranging from installation to maintenance and repairing as well. The increasing demand of our offered range in the market remains directly attributed to its optimum performance, sturdiness, longevity and excellent strength. Our range of VRF Air Conditioners can be availed in various specifications as per the varied requirements of our esteemed clients. Apart from this, our offered systems can be availed at the most affordable and market leading prices within the promised time frame. We specialise in VRF air conditioning, it is the latest in air conditioning technology. VRF is a great product when there are multiple rooms, for example large houses, hotels, hospitals, and conference centers. It allows the end user to have full control over each indoor unit from a central controller, multiple rooms can be selected for heating while at the same time cooling is required in other zones. Managers can control temperatures, fan speeds, cooling or heating they can even identify if the end user has it switched on or off as well as monitor the system remotely. VRF truly revolutionises commercial air conditioning Melbourne and Australia wide. We cover all types of commercial air conditioning Melbourne installations, wall hung air conditioners, ducted, ceiling mounted, floor consoles, bulk heads, multi heads, (one outdoor unit and 3 indoor units) to VRF Air conditioning. From Domestic households to commercial properties, no job is too small for us. 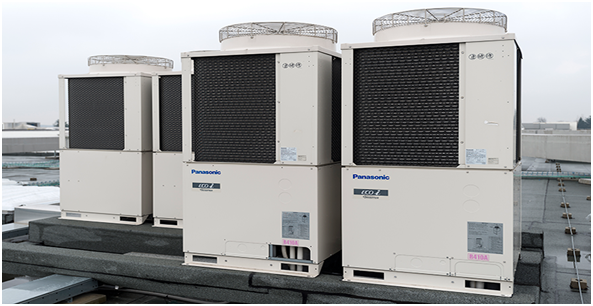 Air & Ice install and service a range of air conditioners and commercial air conditioning, some of our brands are Panasonic, Mitsubishi Electric, Mitsubishi heavy and Daikin. Ranging from installing new air conditioning systems in apartment blocks, decommissioning and removing old systems and replacing them with latest air conditioners, the experts at Air and Ice offer the latest technology and in some cases reduce their running costs by 50%. We work closely with our engineers to help design and install commercial air conditioning and systems for our larger customers which include BP Services stations.